Barreling through New York City late last night, post-tropical storm Sandy caused widespread damage and power outages. Eighteen storm-related deaths – so far – have also been reported across the city’s five boroughs. Powerful winds – with gusts reaching 79 mph – toppled countless trees and helped create a record storm surge of 13.88 feet in lower Manhattan. As a result, streets flooded and the subway tunnels were inundated with water. In addition, the encroaching seawater shorted out power substations, leaving a large part of southern Manhattan in the dark. The city’s outer boroughs were also seriously battered in this storm. Many homes and businesses in the low lying coastal areas of Staten Island, Brooklyn, Queens, and the Bronx were damaged or destroyed by unprecedented flooding. The extensive damage from Sandy is still being assessed, but officials say this storm may be the worst in New York City’s history. Hurricane Sandy, the 18th named storm of this Atlantic hurricane season, battered the Caribbean earlier this week. Now, it is on course to make landfall along the northeastern coast of the United States within the next few days. Forecasters, at this point, are uncertain of the exact track the storm will take, but expect it to be a long duration and high impact event. They anticipate that Sandy will bring high winds, heavy rain, coastal storm surges, and flooding to this country’s most densely populated region. These weather hazards are, in turn, likely to cause widespread power outages. For more details on storm preparedness, visit the websites of FEMA and the American Red Cross. On this date, October 15th, back in 1932, the Mt. 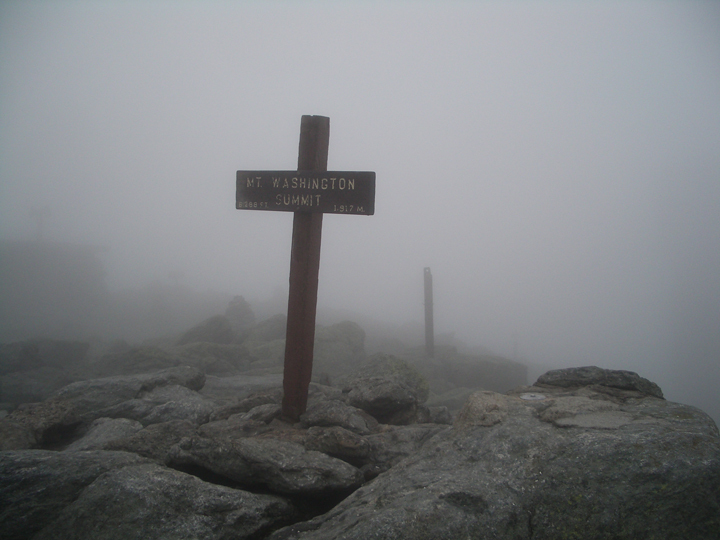 Washington Observatory was founded in the White Mountains of New Hampshire. Located at 6,288 feet above sea level, this weather station sits on the highest peak in the northeastern United States. Given this unique position, the observatory experiences some of the wildest weather on the planet. With an average annual temperature of only 27.3°F, it is not unusual to see snow in the summit region year round. The mountain, however, is most famous for its winds. In fact, until recently, it held the record for the fastest wind gust ever recorded, 231 mph in 1934. The new record of 253 mph was reported on Australia’s Barrow Island in 2010 during Cyclone Olivia. Having personally made it to the summit of Mt. Washington twice, I can attest to its cold and blustery conditions – even during the summer months. It is a challenging environment, but nonetheless an amazing place. On Saturday, October 6th, Columbia University’s Lamont-Doherty Earth Observatory will be hosting an Open House. This event offers the public tours, demonstrations, lectures, and panel discussions on a variety of earth science topics, including current research on climate change. Having attended in the past, I can say that this is usually both an informative and enjoyable day. For more information, including a full list of the day’s lectures and activities, visit the LDEO website. 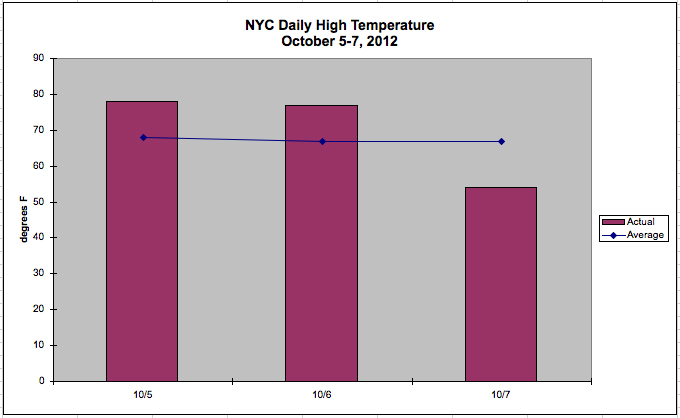 September was slightly warmer and wetter than usual in New York City this year. Starting off with readings in the 90’s, our daily high temperatures dropped off as the month progressed and summer turned to fall. Notwithstanding this seasonal cooling, the city finished the month with an average temperature of 69°F, which is 1°F above normal. Precipitation was above average as well. In Central Park, 4.39 inches of rain was collected, which is 0.11 inches above normal. Most of this came down in two separate, yet significant rain events. This September also marks the first time since May – and only the second time this year – that NYC recorded above average monthly rainfall.